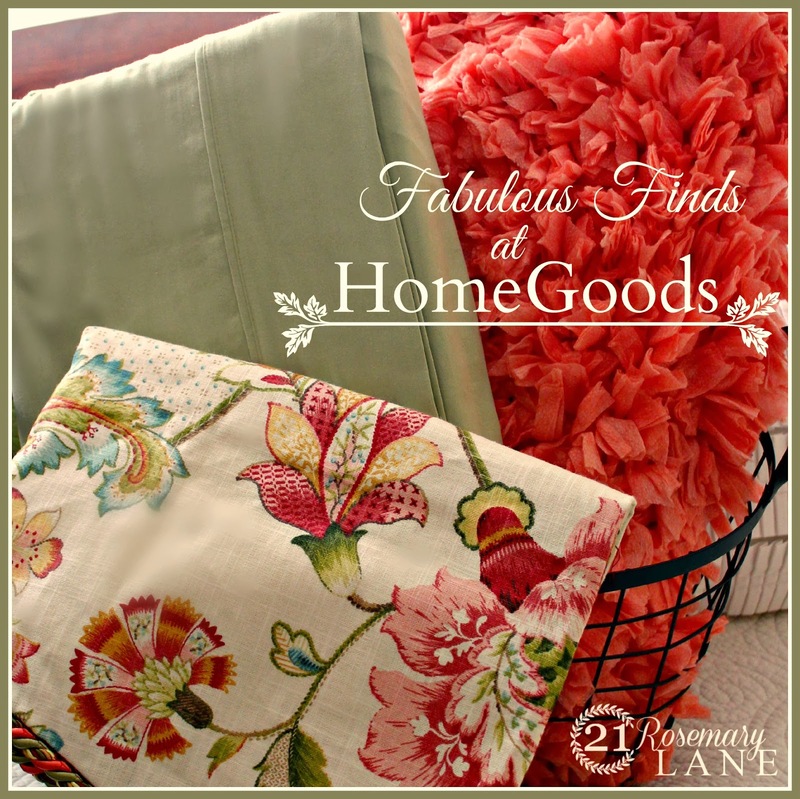 21 Rosemary Lane: Fabulous Buys from "HomeGoods"
I have been busy busy busy this week with shopping for items to pull together the bedroom makeover. On Tuesday me and my gal pal Peggy (a.k.a. 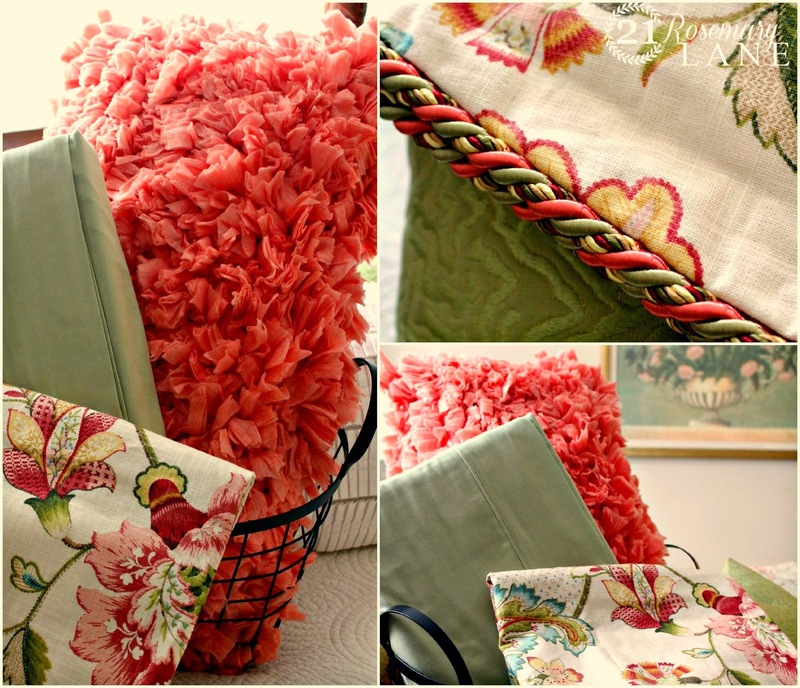 Pegs) headed on over to Country Curtains to pick up the new valances. I felt that since the color scheme for the bedroom is going to be based on the colors of the new window treatments, I better have them in hand as I start looking at paint and accessories. But when we saw them in the store they just didn't do much for us. Then as we were looking around we saw the same pattern valance only in a scalloped style. 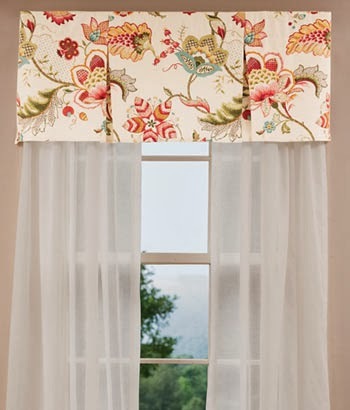 Between the beautiful scalloped bottom of the valance and it's gorgeous braided trim, well they simply stole our hearts. So for $10 more a valance I walked out of the store with my new window treatments. Then on Wednesday I was shopping in the brand new Home Goods down in Flemington New Jersey...gorgeous store by the way! All new carts and tons upon tons of inventory...enough to make me want to just set up camp and spend a few days!!! Well anyway I decided to peruse the clearance area to see what I could find in the way of bedding for the room. Now I know that the inspiration room has those wonderful white sheets with the stunning green trim. ...but to be realistic I most likely am not going to find something like those sheets on an average shopping trip. So I thought about making a concession and perhaps instead think about buying colored sheets. The only reservation I had with spending the money on new sheets is that our queen size mattress is extra deep...18 inches to be exact. And typically sheets to fit the deeper mattresses are a little bit more pricey plus you are not going to find a huge array of colors or pattern choices. So as I investigated the clearance rack I came across these lovely green sheets, 55% cotton and 45% polyester with a 550 thread count...AND...the fitted sheet is for an extra deep mattress! Guess how much? Come on I dare ya! Well they were reduced from the original retail value of $80 all the way down to only $22!!! Then as luck would have it I found a fun and funky peachy-orange bed pillow which is about 2 1/2 feet long for only $7. A super buy since its original retail price was $30. So between the sheets and the accent pillow I put less than a $30 dent in my budget for the room makeover. The window treatments are my biggest purchase thus far coming in at approximately $170 for both valances and that is with tax. I am still waiting for a sunny day to look at my paint samples and make a final decision on color for the walls. It has been a bit dreary here in the northeast over the past few days so I haven't been able to properly evaluate the colors. I hope in the next day or two to be able to pick up the paint. Do you have any new projects started in the New Year??? LOVE your combination of colors/patterns & textures! And HomeGoods is the best. I always find the awesome things there! It's going to be so pretty! I absolutely love those window treatments - the fabric is wonderful. You are so smart to pull it together this way. Saves time and looks much more custom when you are finished. I have a girlfriend who will take a year pulling things together if necessary. 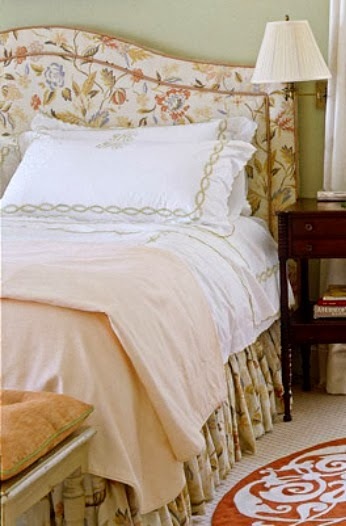 I really like the valences and what a great deal you got on the sheets and pillow. Can hardly wait to see the finished product. We just had a new Home Goods open up just before Christmas close to my house. Love that store. 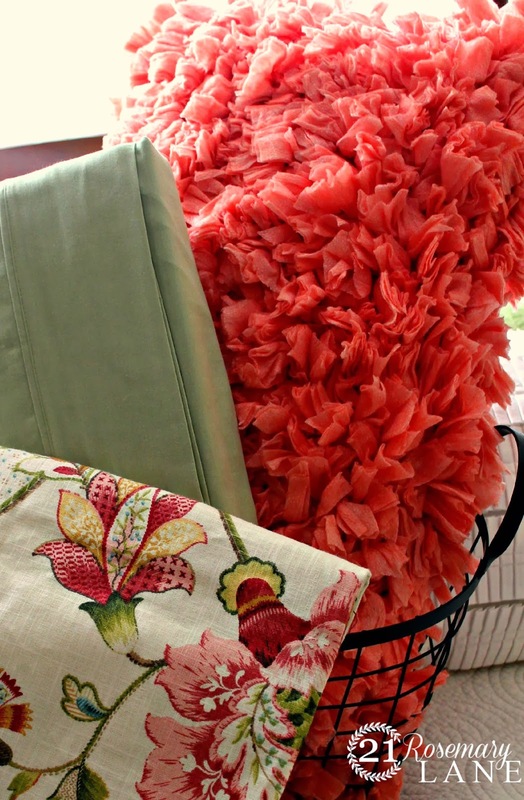 I want to re-freshen up my bedroom turned into a den spending only $100.00 tops. It's in black and white toile with white walls. Soooooooooo can't decide on what I want to do. Time will tell what I decide on. You did get some absolutely fabulous buys! I love the colors. Makes me want to hop in the car and run to Home Goods! Love all your buys! Can't wait to see the finished room. I love the patterns and colors!